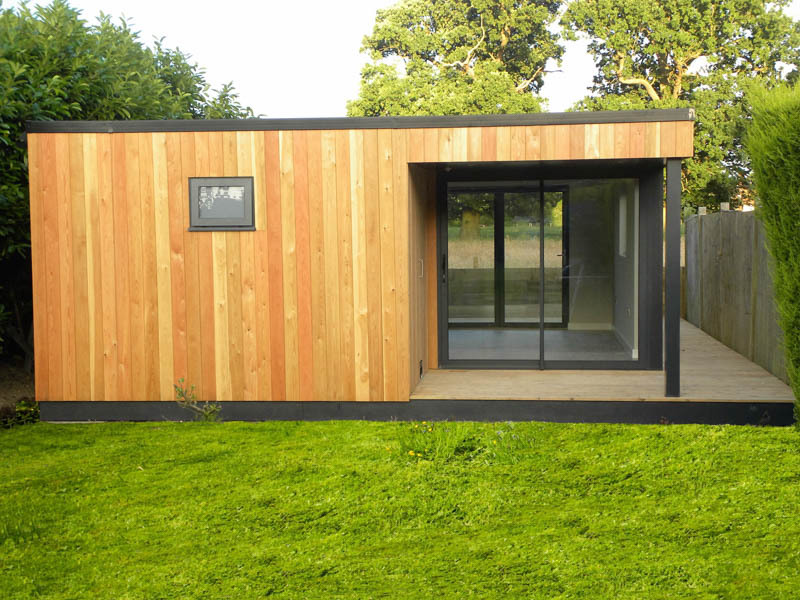 Guest post by the Swift Garden Rooms team, explaining how their annexes can transform their client’s life. The Reverend Michael Toogood is a perfect example. Retiring from his lifelong profession, and in need of a garden room living annex (we can’t call it a “Granny Annex” for a Grandad can we!?) to enable him to live with family in Surrey, he came to Swift with a wish list that would be a passport to a lifestyle that he and his close-relatives yearned for. This is not a story of a grand and impressively vast luxury design that boasts feature upon feature. No, this is an example of making things really work, even with limited space, some planning issues, challenging access and a tight budget. Planning permission was required, as is the case for living and sleeping accommodation such as this – and being close to a conservation area had to meet some very particular needs. By having the flexibility and desire to adapt to the individual’s needs, rather than the other way around, the resulting benefits for Swift Garden Room’s clients are magnified. Maybe George Clarke’s words are the best – LIFE CHANGING STUFF! To learn more about Swift Garden Rooms work take a look at their website or give the team a call on 01625 875 588 to discuss your options.